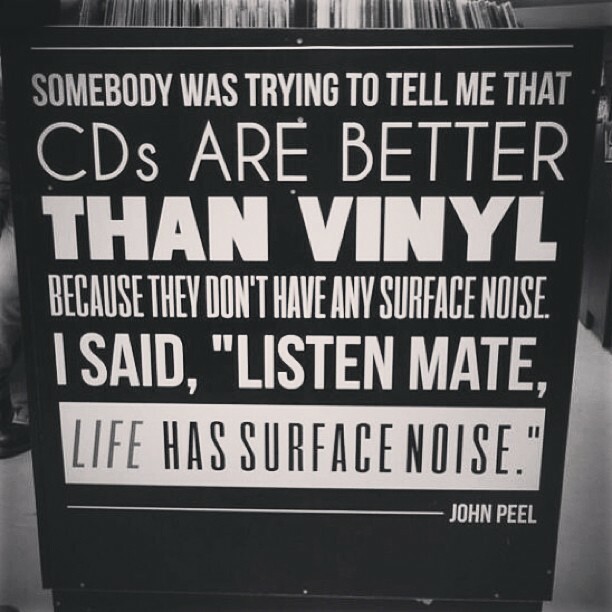 The concerns for the record store have been rekindled with the collapse of HMV. Deep down we all knew that it was inevitable. The high street store failed to move with the times and any strategies they had implemented were too little too late for the sinking ship. The staff at Record Collector, Sheffield are saying that there is a resurgence on the physical element of music with more people coming to purchase CD and vinyl than in previous years. This resurgence has been two years in the making with music journalist Eamonn Forde revealing that iTunes in 2011 made up for 17.9 per cent of record sales while HMV made up for 19.1. Despite this resurgence, the high street and independents are losing out to the online giants such as Amazon who manage to undercut everyone on price. How do Amazon do it? We’ve all seen that they can sell and post an album to you for just £4. According to Record Collector, “retailer’s don’t offer a level playing field. Sometimes it’s like ‘wow! We pay more for that from the record company. How can they sell it that cheap?’” The massive online threat and the collaboration between these e-stores and record companies will ultimately lead to the closure of more record shops across the UK, whether it is on the high street or an independent. However, nothing is being done to make shopping in reality more worthwhile to customers. It’s not all down to us to save the record stores. The independents even admit that ‘you can’t blame the customer for wanting the best price’, so what’s going to drive us back into the arms of a sales assistants rather than us clutching our keyboards and opting to buy online. One store that seems to have the right idea is Rough Trade. The fantastic in store shows throughout the week encourage fans to buy the music and get a live experience, something that you don’t get from going online. For most shops, live events are saved for Record Store Day. Music and the stores that sell it should be coming together more than once a year if they’re going to survive the digital age. Ignoring the internet won’t work as it’s not going to go away. It seems that only a handful of the UK’s independent record stores utilise the internet in order to drive people through their doors. We all use Twitter and Facebook and it seems foolish that stores don’t use social media to encourage regular customers. It appears that these record stores seem too set in their old ways in order to change and adapt to the age we live in. Yes, there may be a resurgence of physical music and vinyl might be making a comeback, but we can buy that from the internet. Our beloved local record stores need to be doing more in order to prevent a fate much like HMVs. By being online, record store owners could give their brand a new, fresh edge. Rough Trade have trialled it and proven that it’s worth the risk. If the dream of physical music is going to be kept alive then we need to step outside and go buy music ourselves, but record stores need to take more responsibility in attempting to make this happen. For now, the very least we can do is go to a Record Store Day event. Support your local store, browse through music, new and old; and hear amazing live acts on Saturday 20th April 2013. To see what events are taking place near you, visit Record store day‘s website. Posted in Opinion pieceTagged Physical media rules, Record store dayBookmark the permalink.